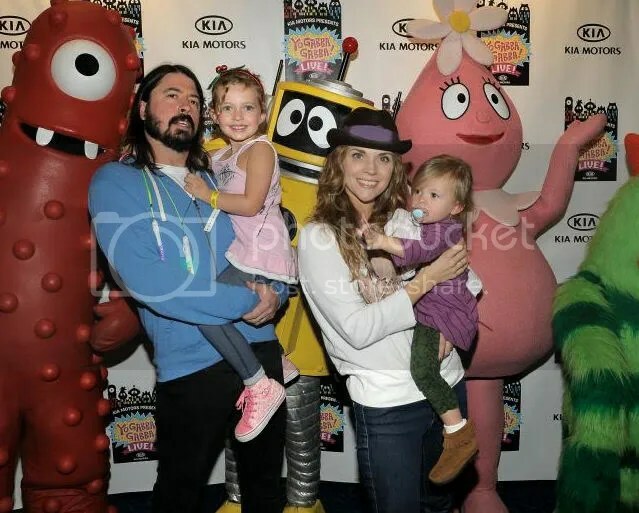 Musician Dave Grohl, wife Jordyn Blum and their daughters Violet Maye, 4, and Harper Willow, 19 months, attended Yo Gabba Gabba! Live! There’s A Party In My City! at Nokia L.A. Live in Los Angeles on Saturday, November 27th. This entry was posted in Dad and Baby Photos, Dad and Child Photos, Events, Mum and Baby Photos, Mum and Child Photos, Uncategorized. Bookmark the permalink.